What is the Miracle for Madison Fund? The SMA Awareness Ribbon pin was created at the time of Madison Rose Reed's baptism on June 22, 1997. 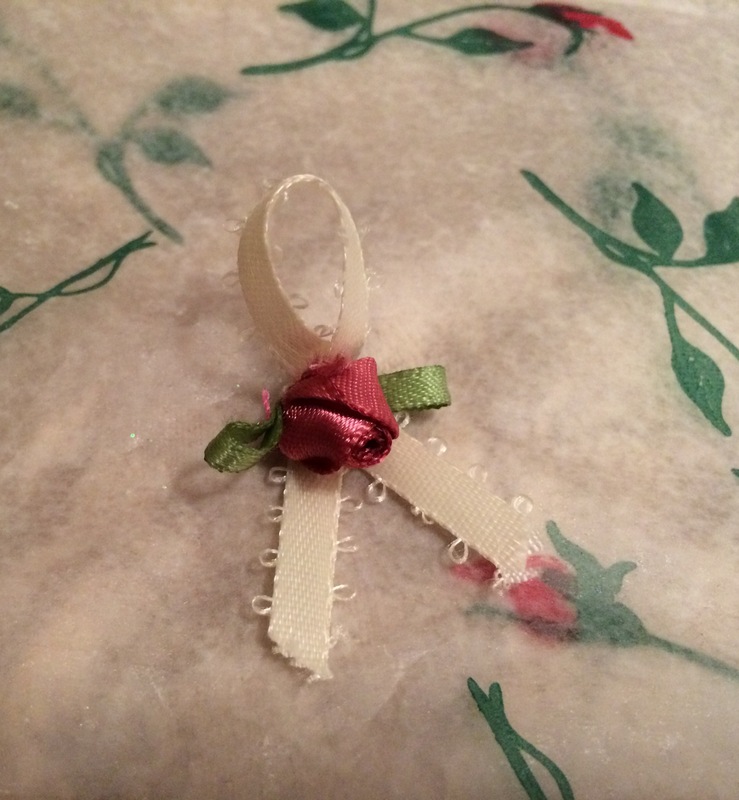 Leftover ribbon and roses from her gown were formed into the pins and were worn by family members that day. 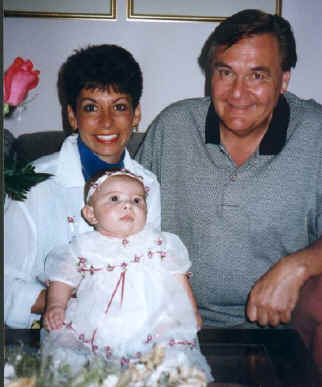 This is Madison at 4 months of age at her Baptism with her godparents, Aunt Fran and Uncle Ed. 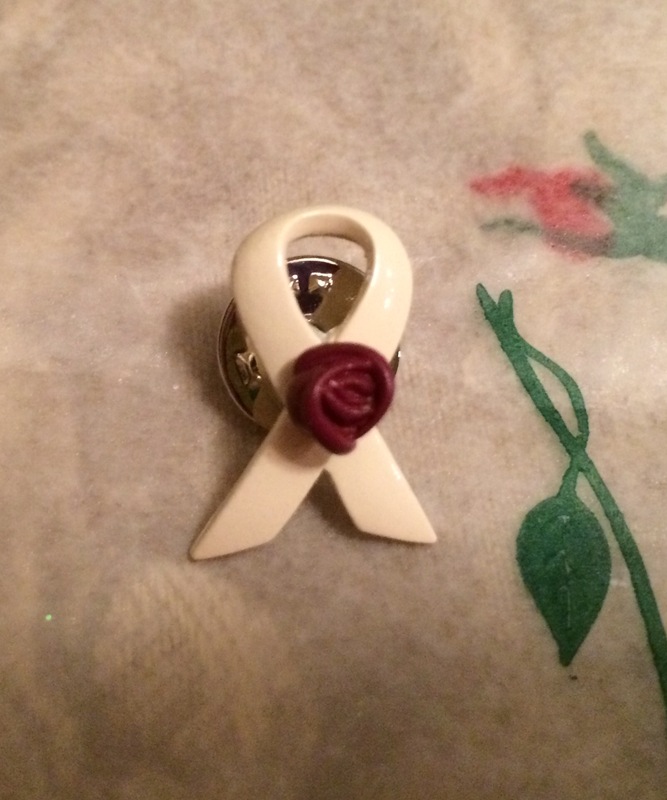 Aunt Fran is wearing one of the SMA Awareness Ribbon Pins she made from a rose and some ribbon from Madison's dress. 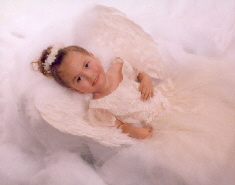 The cream/ivory color ribbon represents the innocence and purity that our children possess. The pink/mauve rose stands for strength and courage: a quality that all with SMA and those affected by SMA possess. The ribbon and rose pin became a symbol for SMA Awareness in June of 1998. It has since become the official symbol for SMA Awareness. The Official SMA Awareness Ribbon design and items were made in honor of Madison and all children and adults who deal with the effects of SMA. Contact us for your total cost and to make arrangements for your DONATION. Shipping is free for every item. Make checks payable to Miracle For Madison OSU SMA Research. 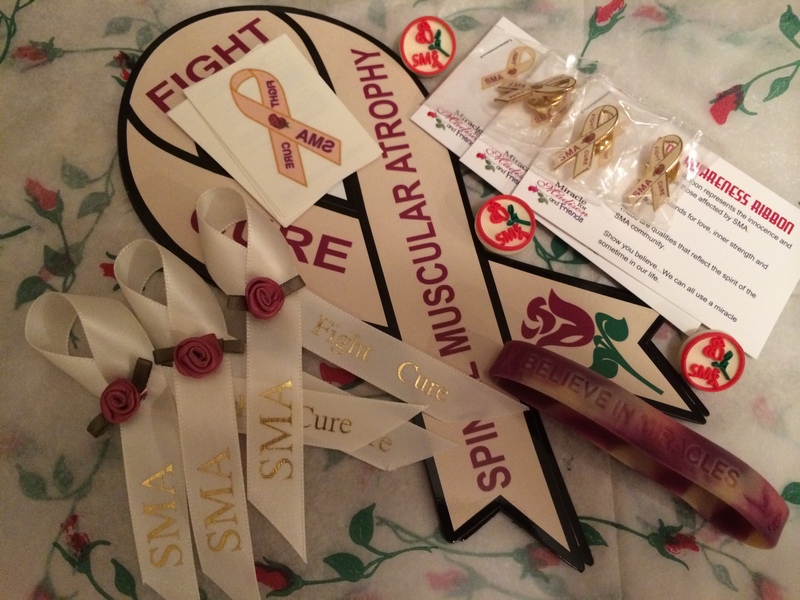 This picture shows some of the Official SMA Awareness Ribbon Merchandise we offer. Click on the images to see larger versions. 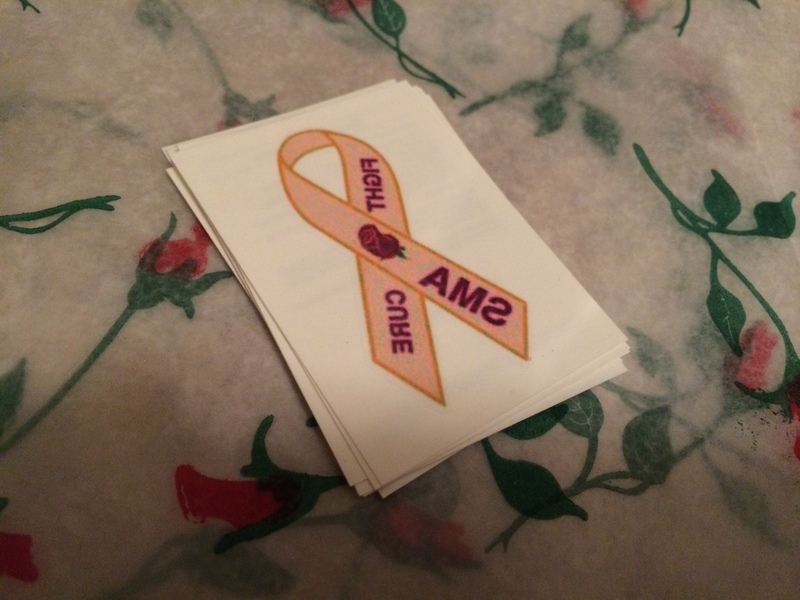 The Official SMA Awareness Ribbon Temporary Tattoos are sure to be a hit at any SMA gathering such as Family Fun Days, Birthday Parties and Walk and Roll events. They make great grab bag items too. 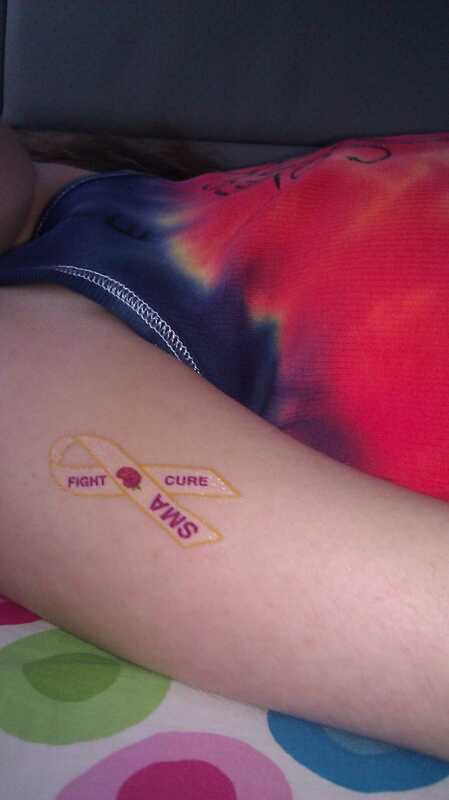 The suggested donation amount is $1.00 USD for each 5 tattoos ordered. 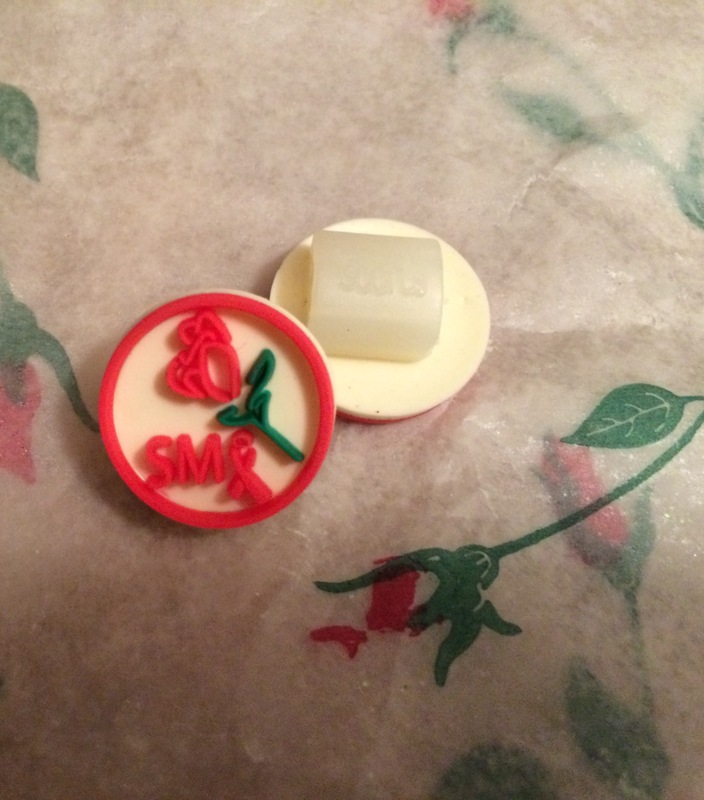 The Official SMA Awareness Ribbon Cloth Pin is based on the original design as was worn by Madison's family on the day of her baptism. The suggested donation amount is $1.00 USD per cloth pin. Note, this pin can be customized with charms and SMA organization color ribbons for branding. Send inquiries to the address or email listed above. 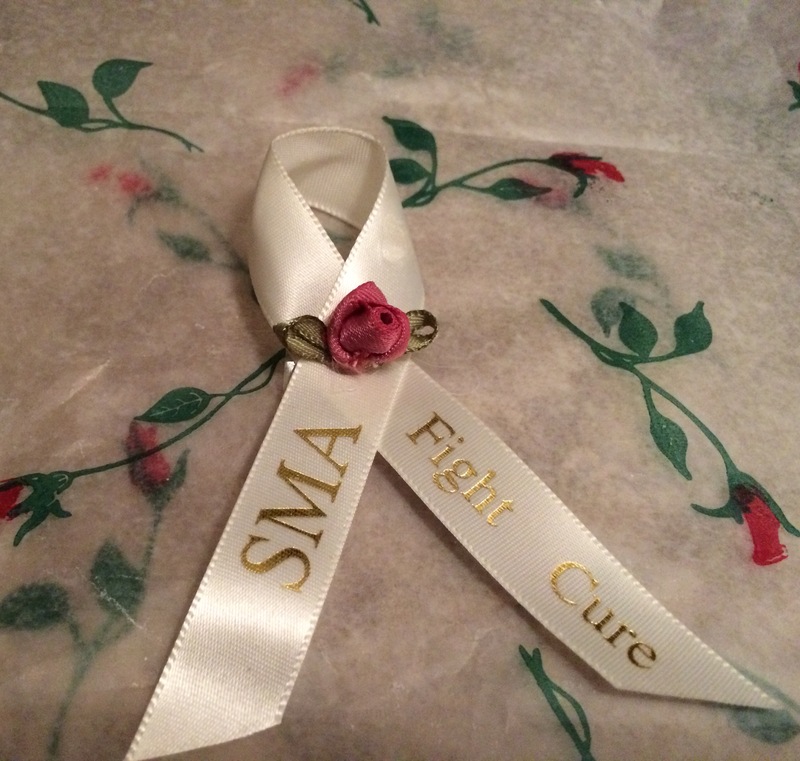 The Official SMA Awareness Ribbon Embossed Cloth Pin is embossed with the "Fight," "Cure," and "SMA." The suggested donation amount is $5.00 USD per cloth pin. 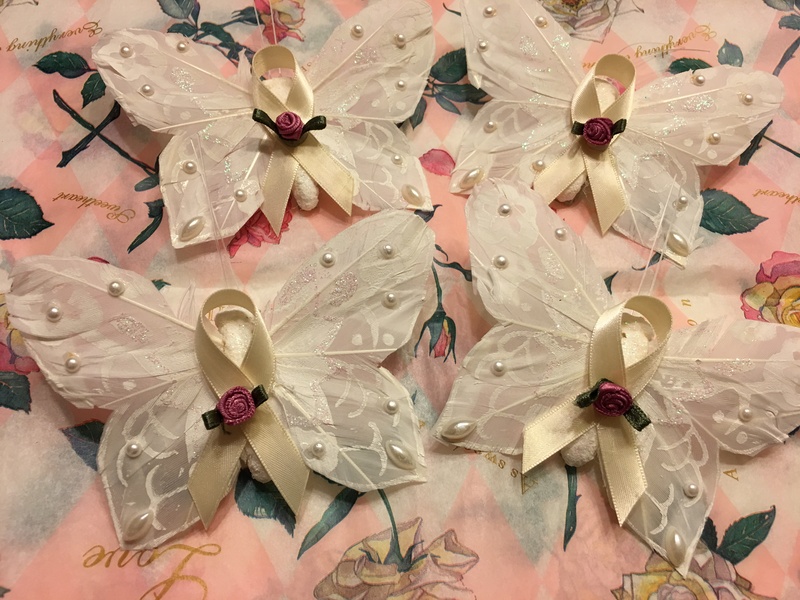 Wear the Official SMA Awareness Ribbon Butterfly Cloth Pin to honor your favorite SMA Angel. The suggested donation amount is $5.00 USD per angel wings cloth pin. Wear the Official SMA Awareness Ribbon Enamel Pin on your lapel or favorite hat. The suggested donation amount is $5.00 USD per enamel pin. 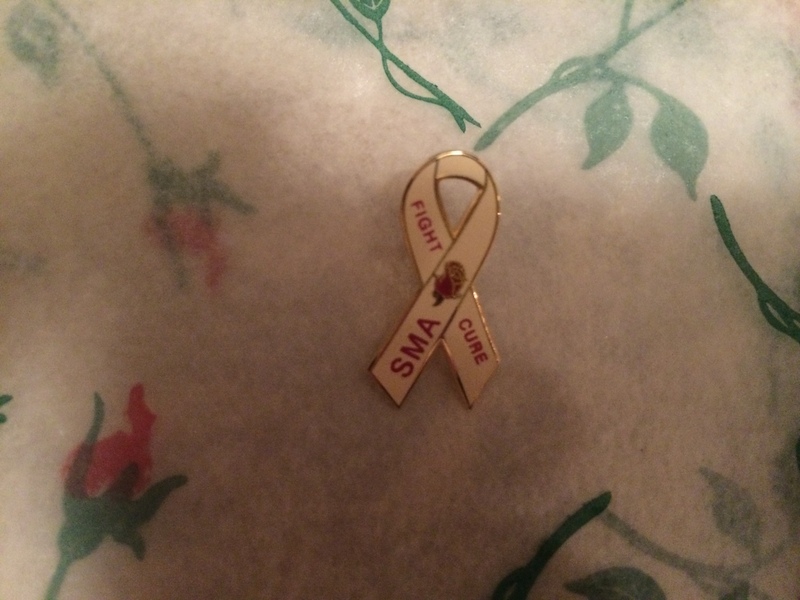 The Official SMA Awareness Ribbon Ceramic Pin was developed in March of 1999 by Margo Manhattan Jewelry, for the SMA fundraiser "Madison's Angels at the End Zone." The suggested donation amount is $10.00 USD per ceramic pin. Quantities of this pin are very limited. The Official SMA Awareness Ribbon Wristband has a purple/mauve and ivory tie dye look. 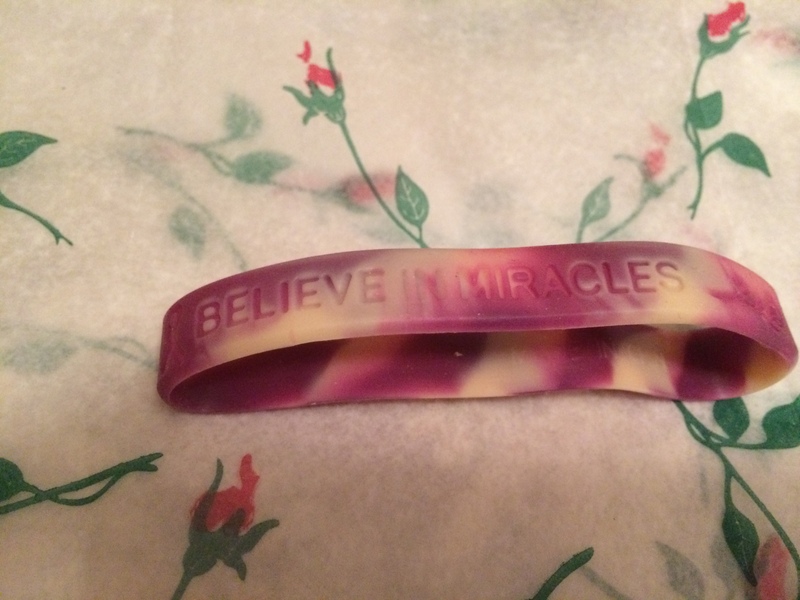 It is embossed with the image of the Official SMA Awareness Ribbon and the phrase "BELIEVE IN MIRACLES". The suggested donation amount is $2.00 USD per wristband. 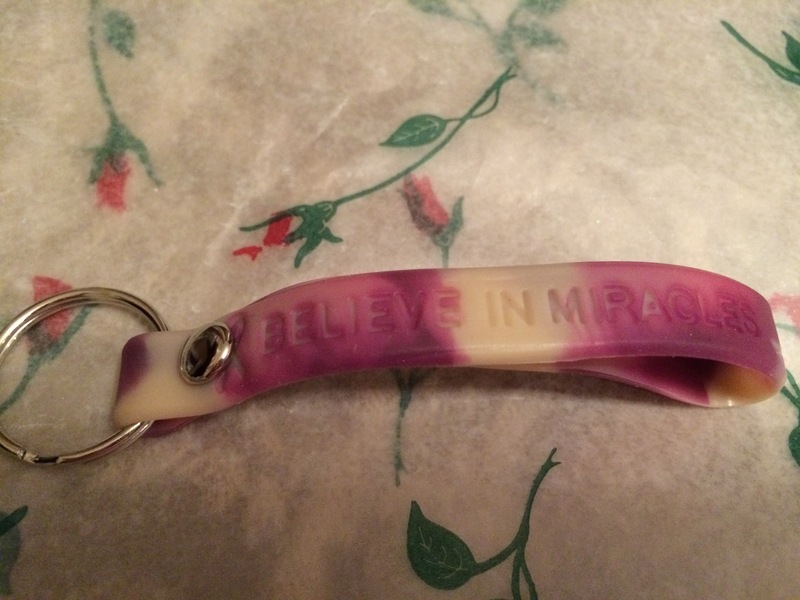 The Official SMA Awareness Ribbon Keychain has a purple/mauve and ivory tie dye look. 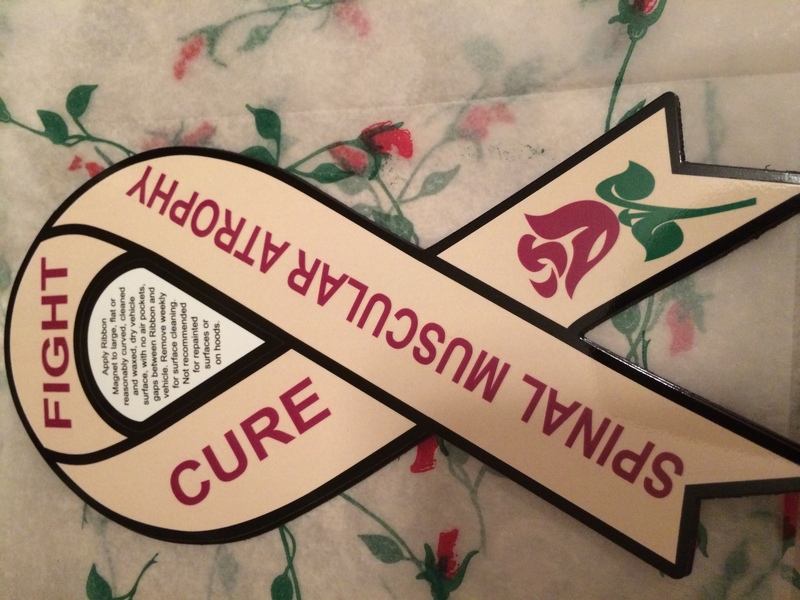 It is embossed with the image of the Official SMA Awareness Ribbon and the phrase "BELIEVE IN MIRACLES". The suggested donation amount is $2.00 USD per keychain. The Shubeez can be worn on your sneaker laces or even on a wristband. The suggested donation amount is $5.00 USD per Shubeez. Place the Official SMA Awareness Ribbon magnet on your car or refrigerator. The suggested donation amount is $5.00 USD per magnet. Visit the Official Miracle for Madison & Friends and Official SMA Awareness Ribbon Merchandise Store on Zazzle for a wide variety of SMA related merchandise! Visit the Official Miracle for Madison Merchandise store and get yours today! Be sure to check out and support the Disability Support Store, also at cafe press!